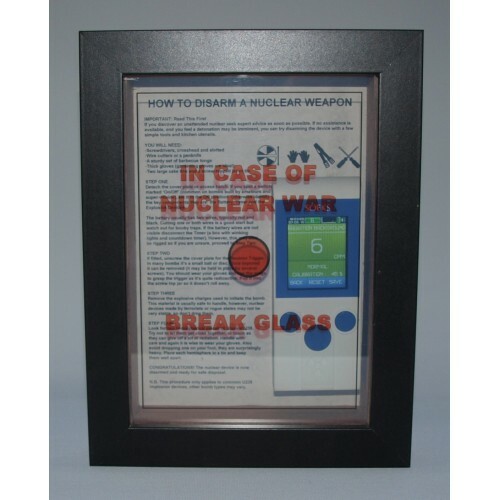 Here's a strange and unusual gift idea for anyone worried about the bomb, the China Syndrome or rampant radioactive zombies. And who isn’t? But if the balloon does go up, an unexploded nuclear weapon lands in your back garden, or a bunch of atomic mutants are shuffling down your street, what can you do? Probably not a lot, except run, but anyone made of sterner stuff will be glad that they have one of these on their wall. It’s the outstanding Soeks Prime 01 pocket Geiger counter. 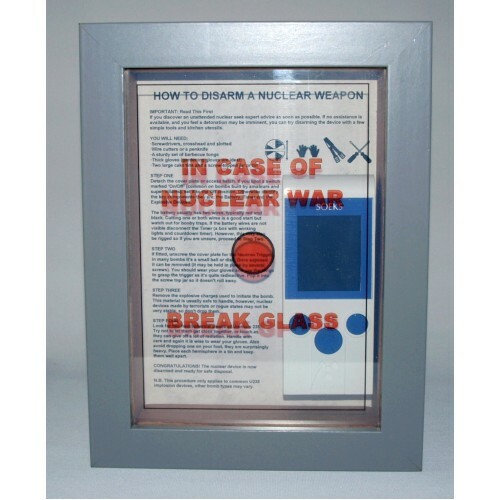 This strictly limited 'Apocalypse' edition is contained within a stylish ‘Break The Glass’ wall box, available in a Black or Grey finish, to suit any décor. We also supply a set of batteries so it will be always ready for action. 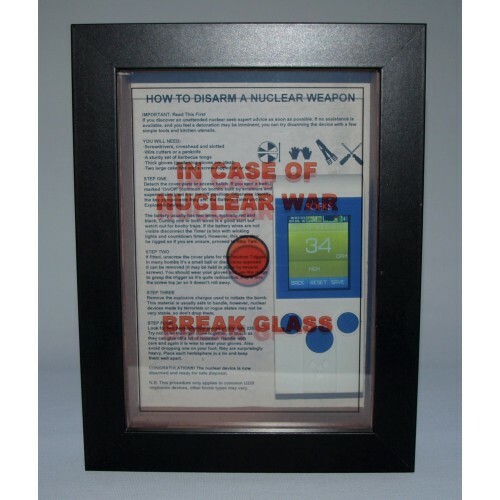 As an added bonus, printed on the inside of the box are some useful hints and tips for DIYers on how to disarm a nuclear device. These include the precautions you need to take when disarming the explosive charges and where to look for the lumps of Uranium 235... You will also need some readily available household items, including a pair of BBQ tongs, some sturdy garden gloves and couple of medium sized cake tins and you are good to go! Of course there’s nothing to stop the Soeks Prime being taken out for its box for some regular peacetime detecting and protecting. There's no need to break the glass either, just remove five small screws and detach the device from its hook and loop tape fastening. 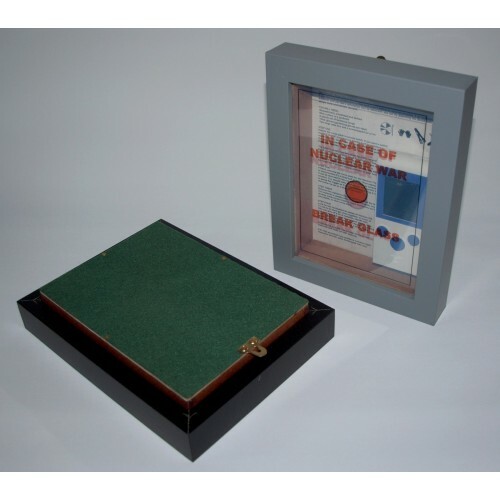 You will also receive the original Soeks retail box, instructions and 2 AA cells. For a full run-down on this what this genuinely useful device can do click HERE. Will It Fit Your Wall? DISCLAIMER: Please note this is a proper working Geiger Counter. However, we take no responsibility or necessarily condone or endorse the existence of radioactive zombies or any other living (or living dead) radioactive entities. We also believe that the nuclear industry, military and related organisations do their utmost not to wantonly disseminate, leak, lose or mislay radioactive materials. For the record we also reckon that Bigfoot, the Loch Ness Monster and Unicorns are real.